Throughout the month of January was held graduation ceremonies for the new development of the 12 Schools Teachers of the Future of ADPP-Angola, local partner of Humana Fundación Pueblo para Pueblo in this country. A total of 887 teachers from primary school who have completed their training, begun in 2010. 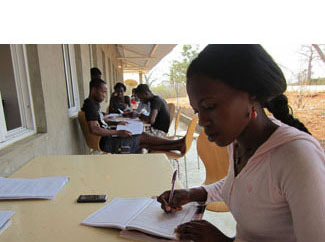 Now they will continue to teach in primary schools in the country, in order to implement what they have learned and help strengthen the Angolan education system in rural areas. 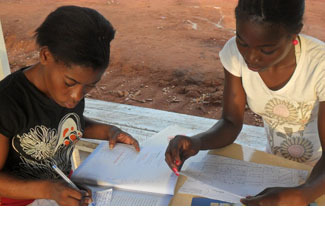 To date has graduated 5,689 primary teachers -including 1,107 women- in Schools of the Future Teachers of ADPP-Angola. The shortage of teachers and poor training of some stunt development of large rural areas of Angola and elsewhere in Africa. Hence the importance of the training of teachers and professors in order to lead the progress of their communities, also participating in other activities that exceed the academic and that also encourage community development.